As efforts of US administration are underway for direct talks with the Taliban group, Afghanistan government says no talks will give positive result until the talks are not intra-Afghani. 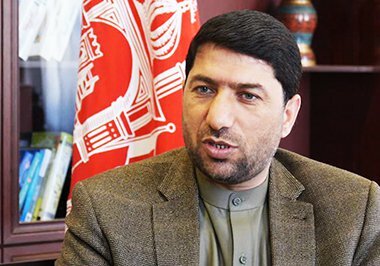 “All countries of the world know that no foreign talks will give a result until direct talks between Afghanistan government and the Taliban group do not begin,” head of High Peace Council’s secretariat Mohammad Akram Khpalwak said. He stressed that Taliban should prefer the Afghan-led and Afghan-owned peace talks rather than talks with US or other foreign countries as talks with others won’t give positive result and bring peace and stability in Afghanistan. Khpalwak added that Afghanistan government was ready to hold peace talks in any corners of the world if the Taliban group wanted, but a Taliban representative said they had talks with US in Qatar for a couple of times. According to head of secretariat of high peace council, Taliban cannot reach their goals through war and violence, but they reach their demands through peace and negotiations because ongoing war in Afghanistan had no legitimacy anymore and the Taliban should now accept resolution of ulema of the Islamic world and stop violence. A number of Afghan political experts in interviews with The Kabul Times by rejecting direct talks between the US and the Taliban group say Afghanistan government should have particular programs and plans for peace talks and play effective role in this regard. “Afghanistan government knows better that no negotiations and processes for bringing peace and stability to the country will give results without active participation of the government; therefore, serious efforts should be made that direct talks with the Taliban group should be led by Afghanistan government,” an Afghan political expert Jamal Farahmand said. He added that national unity government in particular HPC should choose ways that could better play role in maintaining fair peace in the country and not let others decide on peace issue and destiny of the Afghan people. Afghan Lower House of parliament says peace won’t be maintained in Afghanistan until neighboring countries in particular Pakistan does not honestly cooperate with Afghanistan towards peace and counterterrorism. “Pakistan that has been always accused of not cooperating with Afghanistan in counter terrorism effort; therefore, further world pressures need to be exerted on the country to stop supporting terrorists and destroy safe havens of terrorists on its soil and if this happen, peace will be maintained in Afghanistan,” an Afghan lawmaker Hashimi said. Another Afghan political expert, Zubair Shafiqi said that Afghans welcome any steps taken towards maintaining peace and stability in the country as Afghans much needed peace and stability in their country than other nations in the world, but stressing that Afghans want peace with protection of achievements of the past 17 years. It is worth mentioning that efforts have been continually made by Afghanistan government and other countries such as US, China and Russia for bringing peace and stability in the country, but no efforts have had positive results so far.